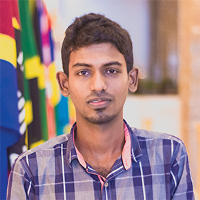 I am a final year undergraduate of Department of Computer Science & Engineering, University of Moratuwa, Sri Lanka. Systems/DevOps Engineer, interested in cloud, infrastructure and container technologies. Loves to read, play the piano and chess games in his free time.